Named as one of the most idyllic cities to live, Budapest offers more than just a locations for that unforgettable last night of freedom. With architecture to rival the likes of Rome and Paris, and cultural hot-spots such as the Szechenyi Baths and the city park, it is easy to see why it is one of the top destinations for city breaks. Before you jet off to the Hungarian capital, get these best kept secrets on your itinerary and experience the best of Budapest. A quirky favourite of travellers and locals alike, the For Sale Pub offers unique surroundings for their patrons. As the name suggests, customers can drink and place personal advertisements on the walls along with drawings, business cards and notes for others to read through and appreciate. But apart from leaving your mark in the pub you will be able to appreciate the fine cuisine and famous Hungarian hospitality. One for the literary buffs out there, this restaurant has a truly distinctive way on dining and a way to change up what it has to offer. Each week the restaurant selects a novel, a classic or something new, and bases their entire menu on it, including drinks and deserts. For example, the restaurant previously based their menu on The Prince and the Pauper by Mark Twain. Dishes available were ‘royal pheasant broth’ and ‘rich and poor’ coffee chocolate cake. This truly ‘novel’ idea is something you have to experience first-hand. The ‘City of Baths’ are over-following with thermal pools including the popular Gellert spa, Szechenyi and Lukacs baths. But one that most don’t know about is off-the beaten track and you won’t find many tourists here. Veli Bej, unlike its counterparts, is a small, yet cosy baths which offer everything you would find at the better known baths and more. Despite being from the 16th century, the baths are a local favourite and somewhere you should try if you want to avoid those annoying tourists. Humble beginnings for this Hungarian landmark, yet it isn’t well known to many tourists. Located on a manmade island, the castle was originally built using cardboard and wood before being built with stone in 1904. Apparently, the first draft was good enough. Set up during the Second World War, the hospital helped to treat injured soldiers throughout its six-miles, natural tunnels. Fast forward to 1958, the tunnels would be extended into a nuclear/chemical war shelter, where people could seek escape before the nukes dropped. Now the tunnels are home to a museum that displays the tunnels history throughout the past century, including mannequins. Other than discovering the past, brave visitors can take part in a nuclear readiness test so see how you would fare when the bombs drop. Not a one for the faint-hearted, explore the eerie history of the tunnels under the city. Home to some of the darkest history the city has to offer, visitors have the chance to explore the labyrinth with just their courage and a lantern. All manner of historical events have taken place in the catacombs including the imprisonment of Vlad the Impaler – otherwise known as Count Dracula. The tunnels are also haunted so keep an eye out for any ghostly presence. 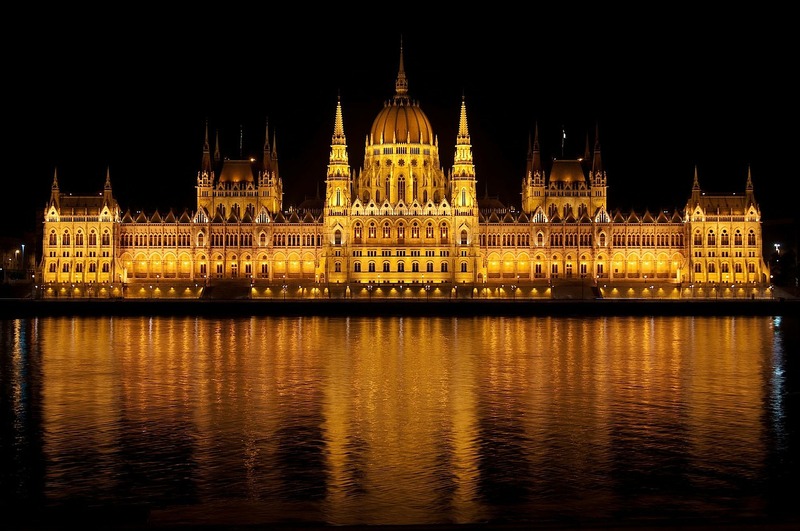 Budapest is famous for many things: copious amounts of public baths, the river Danube and the Ruin District. But arguably one of the most well-known export is Zwack Unicum. The herbal liquor, which is similar to Jägermeister, is made up of 40 different herbs and spices and boasts a proof in the region of 80%. Fancy a tipple? Most bars in the city have it stocked. But if you want to visit where the famous spirit is made then head on down to the factory which pumps out the stuff by the bottle. A pin-ball lover’s paradise, the Flipper Muzeum in Budapest is a definite. Situated under a residential building, you may be mistaken in thinking the place is home to one of the biggest collection of fully working pinball machines in Hungary. The assortment of games also includes the rare Mesovonat machine which is the only Hungary-made machine known to exist. And to top it all off, your entry price covers use of all the machines all day. A one to include on your itinerary for sure. Located just outside of Budapest, this vast area of land contains a number of disused warehouses which are home to more than 100 locomotives and carriages. Known as the ‘Red Star Train Graveyard’, the vast collection of trains and cars includes some that were used to transport prisoners to Auschwitz and other concentration camps during the Holocaust. Unfortunately most of them are fighting a losing battle against the elements and won’t be around forever. Next time you are in the Hungarian capital, this is definitely a one to go and see. The ultimate king of pop is, arguably, the biggest name in music history. Since his death in 2009, Hungarian fans have transformed a seemingly nondescript tree in the capitals to a shrine to the creator of the moon-walk. Draped in all kinds of MJ memorabilia the nonchalant tree is now a tourist attraction. But the real secret to the tree, and why it is included on the list, is if you are around on the King of Pop’s birthday then you will be treated to the annual flash-mob celebration to Jackson’s life. If you come to Budapest and you don’t visit Szimpla Kert ruin bar – you’re doing it wrong. This is a huge, well known pub with quirky, mismatched furniture including sawn-off Trabant cars and even an open air cinema. But, less well known, Szimpla Kert hosts a traditional farmers’ market every Sunday morning, with locally produced, healthy, farm-fresh and home-grown salami, homemade syrup, jams and other delicacies on offer for bargain prices. Perfect for them hangover snacks if you’ve been out the night before.